Prevent screen capture of your ebooks: no screenshots! Everything comprising the compiled website or ebook can be customized according to your needs. with faster ebook compilation, possibility to forbid virtual PDF printers and much more. Upgrade is highly recommended. Offer your websites and presentations as stand-alone desktop applications to your customers and visitors (one EXE). Design attractive user interfaces with skin support (more than 100 skins available) and multiple window options. Protect pages and content; restrict user rights (copy, print...); prevent screenshots and screen grabbers; prevent users from sharing your work. 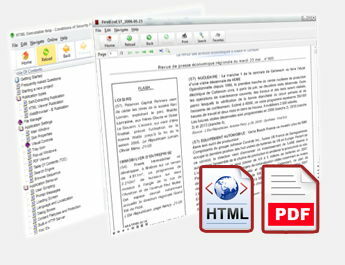 Mix PDF and HTML documents together. Stand-alone PDF viewer is integrated. Your PDF files are secured and cannot be copied. 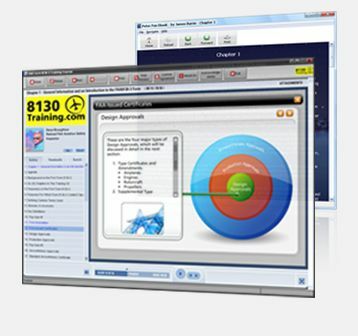 Show messages or splash screens, launch other applications; include web updates for your ebooks; customize everything with integrated scripting support. Insert your company name, logo in your ebooks and digital publications. Advertise your company, not ours! Add a table of contents, a search system and a favorite manager easily. Use websites as help in your applications. Set up expiration options or limitations, send registration keys to customers or use online activation. Every text and dialog box can be modified the way you like. Several languages are available. 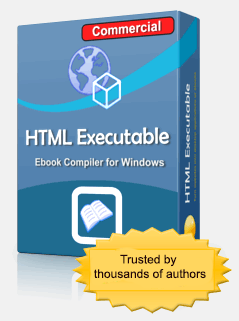 HTML Executable is a versatile HTML compiler ("html to exe" or "pdf to exe"): it lets you transform entire websites, HTML documents, PDF files and their companion files into real software .exe files. 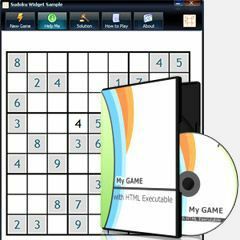 End users run the compiled software as easily as they would run any EXE file. From their perspective, they're running a custom web browser that displays your HTML and PDF pages, as if these pages were hosted on a remote server. 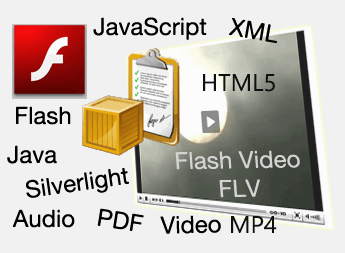 Thanks to HTML Executable, create attractive ebooks, full-featured HTML applications and software, reliable Rich Internet applications, presentations, digital publications, custom web browsers, CD autoruns, demonstrations, offline documentation and compact archives for easier, efficient and secure distribution of your contents. 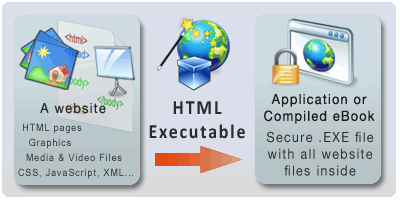 Get CHM To Exe to decompile and convert Microsoft HTML Help files (.chm) into executable files. Convert your PDF into secure ebooks with a built-in viewer thanks to HTML Executable (PDF Executable). Want to use PHP in ebooks? Try our PHP to EXE compiler product: ExeOutput for PHP.